Speaking at LME Week, Chile’s mining minister said the world’s top copper producer is looking to safeguard its economy in the trade war environment. Powerhouse of global copper production, Chile is reportedly looking to expand its customer base in a bid to shield itself from ongoing effects of the US-China trade war. Speaking with Reuters in London as part of LME Week, an annual gathering of metals analysts, miners and investors, the mining minister of Chile, Baldo Prokurica, said that his country was considering further opening up to foreign investors as the battery metals boom creates more demand for resources Chile has in spades. “Chile is to electric vehicles what Saudi Arabia is to crude oil,” said Prokurica. Two vital resources required for batteries and electric vehicles — copper and lithium — put Chile front and centre when it comes to benefiting from the battery metals expected demand increase. Chile produces a quarter of the world’s copper supply, and sits on substantial lithium reserves, making it the largest copper producer by a country mile, and the world’s second-largest lithium producer after Australia. In 2017, Chile produced 5.33 million tonnes of copper and 14,100 million tonnes of lithium — though it has the world’s largest lithium reserves — well ahead of the largest producer Australia. Prokurica said that in order to shield Chile from the trade war and benefit from its massive mineral reserves, it was looking to increase and improve the number of deals it had with its trading partners. According to the interview with Reuters, its trade deals with India were worth further scrutiny to achieve more value. Currently, the two countries have a preferential trade agreement between them. While the copper price suffered a sustained three-month downturn since the trade war got going in earnest, it’s currently on its way back up, breaking back through the US$6,000-a-tonne mark in the middle of last month. The metal has showed staying power since, despite no signs the US and China are going to back down on the huge tariffs they’ve slapped on each other. 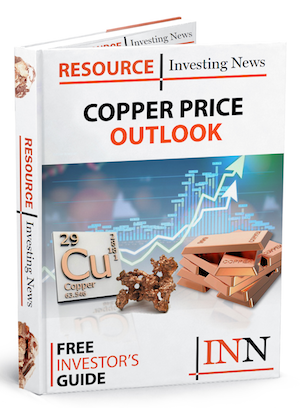 A return to higher prices is good news for Chile then — as just in August, Cochilco announced that copper production in the country was up by 12 percent in the first half of 2018 — a trend that has continued over multiple months with September figures just as high. 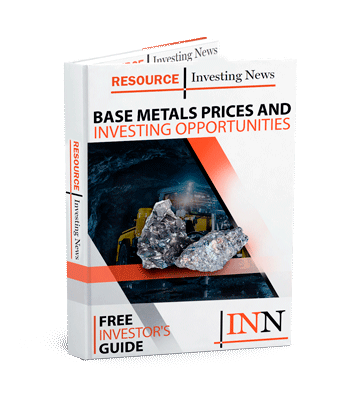 Production looks to be relatively reliable this year; the largest mine in Chile, Escondida, skipped a repeat of the turmoil of 2017 when it saw off threatened strike action in August — seemingly triggering a fall in the copper price in the immediate aftermath as the markets breathed a sigh of relief and got back to selling off the base metal. As of the beginning of this week, copper was trading at US$6,168 a tonne on the London Metal Exchange — down slightly from the end of last week. The red metal is currently US$300 higher than this time last month, but US$500 lower than this time last year.